16/11/14. Alqosh, Iraq. 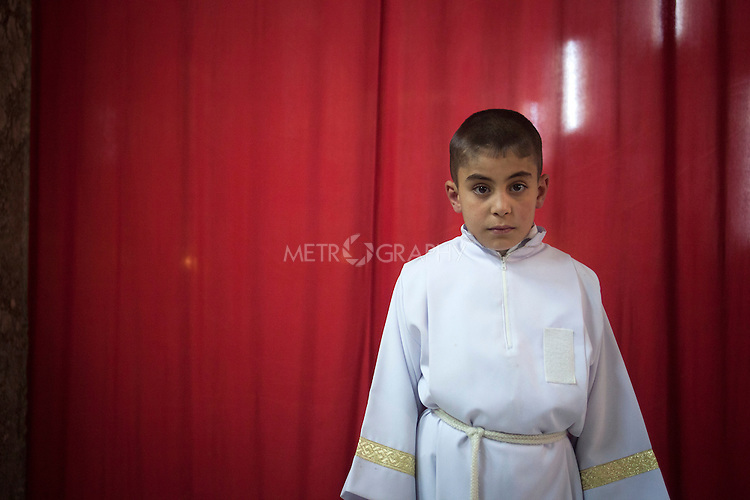 10 year old Iraqi-Christian orphan Milad is pictured in the Virgin Mary Monastery's Der Saida Church where he serves as an alter boy during Sunday services.